There is something about color that sets the mood. Cooler tones evoke a chic sophistication, while warmer tones tend to be lively and up beat. Pink is girly and yellow is happy. Purple is fancy, while red and orange make your eyes come alive! These are just a few associations we tend to make among the abundant shades that are at our fingertips daily. So why not decorate with them? 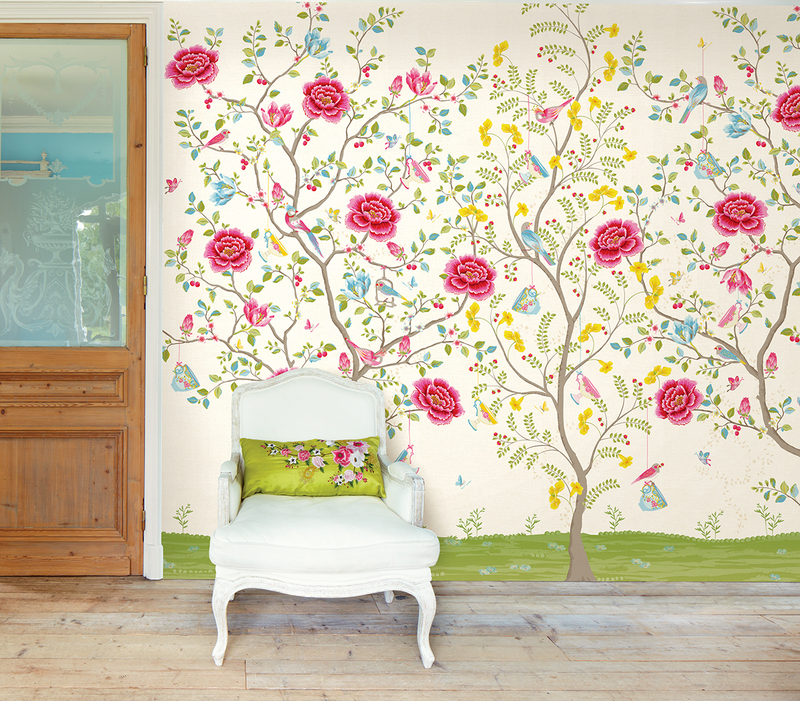 Named the Chinese Garden for it’s magical allure, this fairytale inspired print illuminates walls in a fascinating story of florals, teacups, birds and butterflies. Eijffinger is a brand that uses every spectrum of the rainbow. 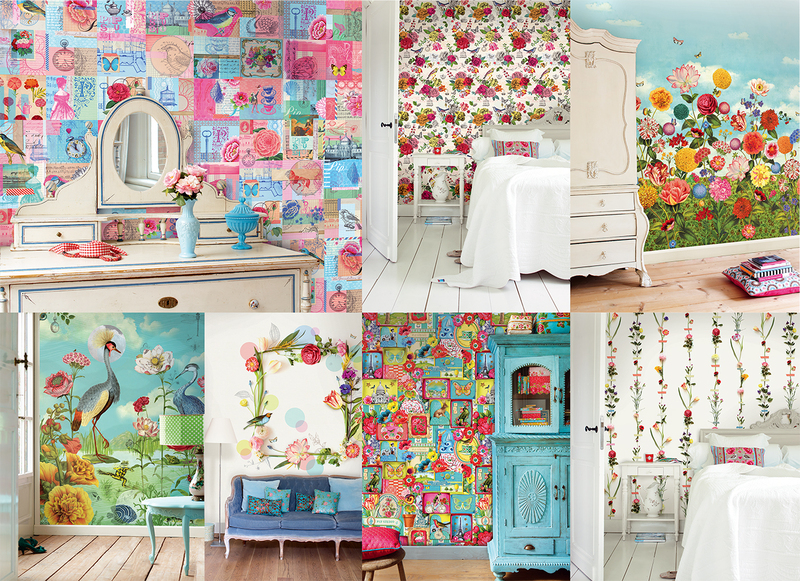 From their perfectly tailored wallpaper designs to their imaginative murals, their wonderful use of color never disappoints. Their new collection Pip III is another rare gem. 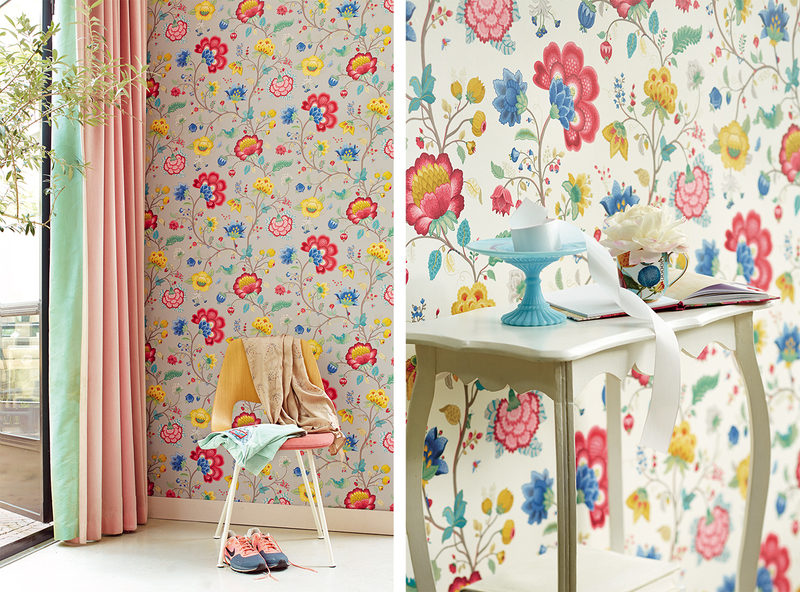 From fascinating floral patterns to vintage inspired designs, this captivating journey of color and beauty will sweep you away to a magical place full of wonder and whimsy. 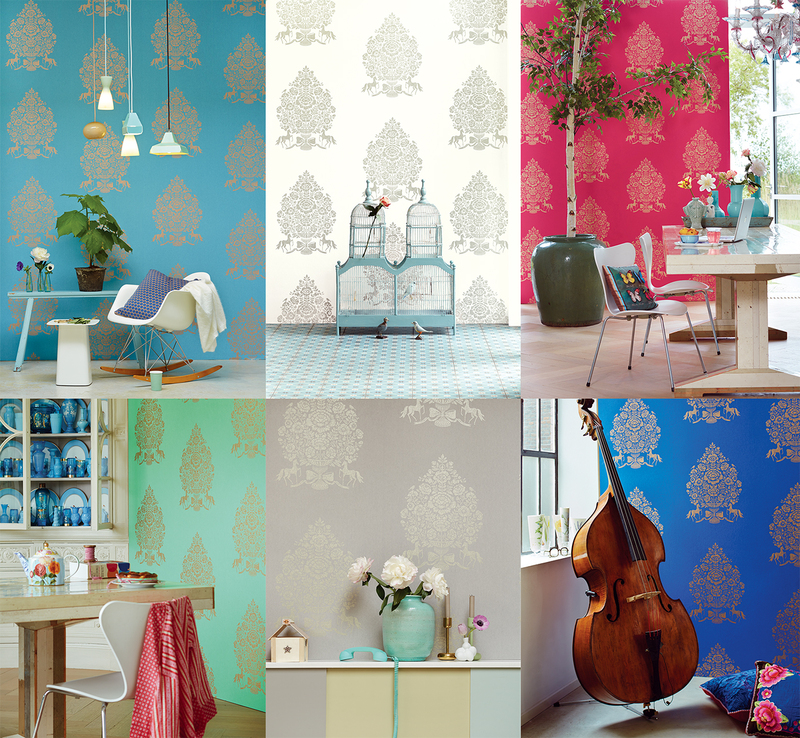 Aqua to white, pink, turquoise, grey and blue, make this luxurious damask pattern appear different in every room. That is the beauty of color! With larger than life details, each of the 22 murals that make their debut are a breathtaking sight!